At work, it is very difficult to get everything bang on. There is always something needing done, the marketing plan, the sales pitch, the advertising campaign. And that is just the job! What about the upkeep of the building? the purchasing? the car parking? the window cleaning? But most importantly... what about the staff? Really, we tend to put our employees needs down the To-Do List, along side the annual cardboard box storage clean out. And that really shouldn't be the case. After all, people are a business' best asset. We at Glacier Water Systems Ltd want to encourage you to spring into action this year and make some changes that will show your staff you care. Here at Glacier Water Systems we think the best place to start is by caring about your employees health and wellbeing. There are multiple companies up and down Northern Ireland who have recently saw the importance of investing in their staff by providing them with clean, fresh (sometimes chilled, sometimes hot) drinking water without the microplastics, the chlorine, the heavy metals or the pesticides. Here are a few simple steps to help you do the same! This is clearly going to be number one! Why? Because no one actively wants to drink water (never mind more water) when it doesn't taste good, smells like bleach and leaves a harsh after-taste from heavy metals. So why not filter those out for your staff, allowing them to have clean, fresh tasting and smelling drinking water? It is simple, easy, quick and cost effective. There really isn't a down side. With the Glacier Compact undersink water filter, Glacier Supreme or SupremeXL Whole System Water Filter, you have fresh, clean drinking water straight from your kitchen or canteen tap all the time. Plus, they only need changed every 2 years! Fill up and go. No chlorine, heavy metals, pesticides... or anything else for that matter. If you are thinking blue 19l plastic bottles, off white plastic, stains on the floor and no water when you come to fill up your glass because no one has bothered to change the giant, heavy bottle... think again! more free flowing, fresh, chilled drinking water, less there is either tasted bottled water or in most cases, no water at all. Our range of mains fed chillers are really in a league of their own. Have a look, see what you think and give us a buzz. We promise you will not be disappointed. 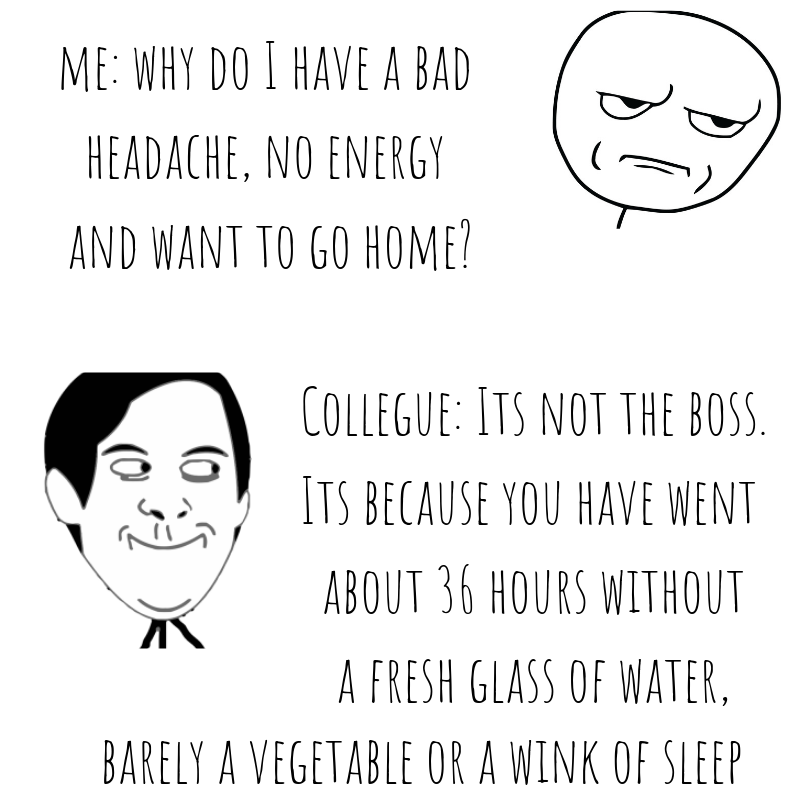 For example, every time a task is completed, a cup of tea is made, or a toilet break is taken, encourage your staff to take a good drink from their glass water bottle. Sometimes here in the office the water bottle sits and judges me. It just looks neglected and untouched. So I have actively started to drink my water during or after certain key activities. And this is not time wasting by the way. We have heard that excuse a few times over the years. Drinking water this way refuels the muscles, the brain and the organs, getting it for the next task. Again, investing in your staff health and well being is not "time wasting". When trying to drink more water here in the Glacier Water Systems Ltd office, this is a tried and tested method. 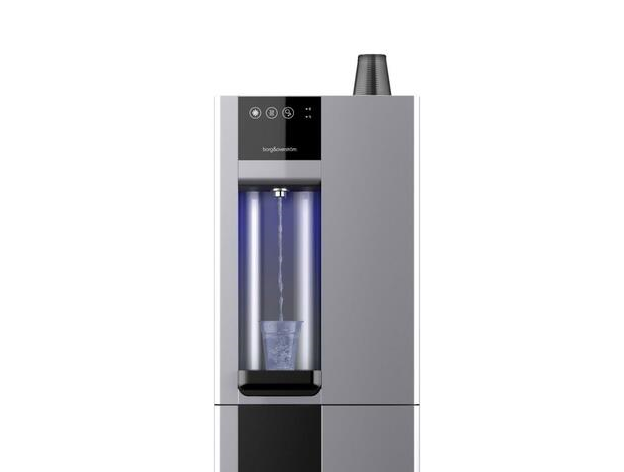 Here in the office we have fresh, filtered water from our Glacier GW5 Whole System Water Filter and also a u1 undersink water chiller which is fabulous. We fill up our glass water bottles with this chilled or sparkling water, making it is much easier to drink, measure how much we are drinking or if we don't want to measure, we have a visual aid to see our intake. We are definitely drinking more and there is a noticeable change in the energy levels some days! It is rewarding drinking more water! Why not provide your staff with the means to do this? Get a 500ml or 750ml glass bottle for each staff member? For more information on our products and services, call us below.